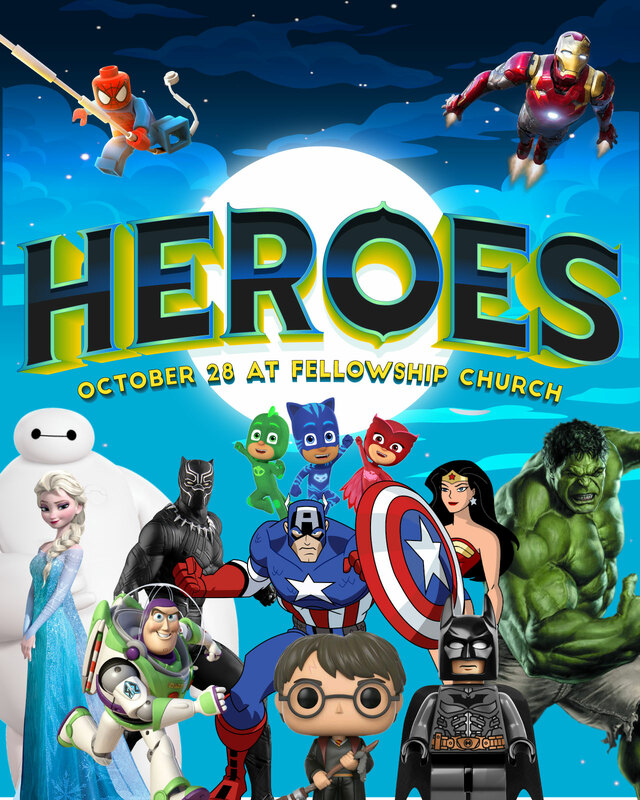 This weekend at Fellowship Church! Kids are encouraged to wear costumes (just the kids)! Don’t miss out on this amazing event for the whole family with a special message for everyone! …and don’t forget there will be CANDY, CANDY, and more CANDY! Want to be a part of the Heroes event? Select your campus to find out how you can get involved.